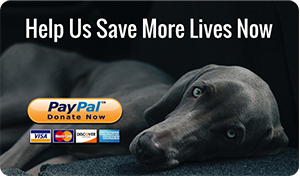 Thank you for considering adoption from Pawsitive Karma Rescue. Without willing hearts and loving homes, our organization could not exist. We try to make it as easy as possible to find and adopt the perfect pet for your family. Please understand that we do take adoption seriously. With that in mind, there are a couple of questionnaires and forms that need to be completed sometime along the way. We are happy to help you or answer any questions you might have, but this paperwork will need to be completed prior to any adoption. You should start by browsing the available dogs & cats. Once you’ve found some that interest you, you can proceed to the appropriate questionnaires. STEP 1: Let’s Find A Pet! Open the tabs and see the current list of available dogs & cats. 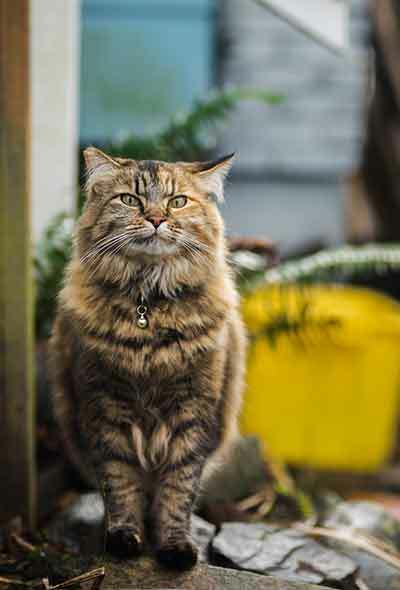 Why would you want an outdoor cat? Rodents will wreak havoc in barns and cats can help! Rodents destroy insulation, electrical wiring, bedding and leather and contaminate feed supplies. They often harbor tapeworms and other parasites that can infect livestock and domestic animals. Hantavirus, a serious, potentially life-threatening virus found in mouse droppings, can infect humans who inhale the virus while sweeping or cleaning up droppings. Proactive farmers will want to eradicate rodents from the barn and cats can do the job with fewer ill effects than rat poisons which contain anticoagulants and neurotoxins. However, barn cats are not just for barns! They can regulate the rodent population in factories, warehouses, nurseries, feed stores and any other places where rats and mice are a constant problem. Where do we find our barn cats? 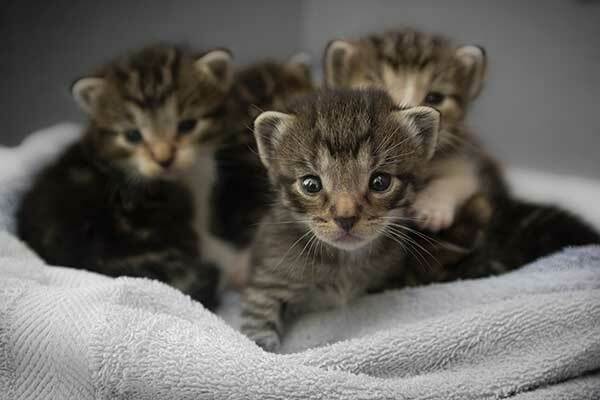 Pawsitive Karma Rescue pulls most of these cats from area animal shelters. Many are homeless neighborhood cats either dumped at the shelter by someone or picked up by animal control. Others are feral cats that have been trapped and dropped at the shelter because they are wild and there is no other option for them. These cats have no chance of getting adopted so they are generally euthanized. We take them into foster care, evaluate them and try to find the best type of home for each cat. Sometimes we rescue feral cats that are in danger of being poisoned or shot and place them in safer locations where they will be fed and cared for. All the cats Pawsitive Karma places are healthy, spayed or neutered, micro-chipped and vaccinated. The more barn placements we make the more cats we can save. It’s a win, win situation! No rodent problems for you and a home for kitty! Food. Most barn cats are active enough to avoid the feline obesity epidemic so free feeding (the food bowl is always full) usually works well for all but the greediest of felines. Fresh water. If your well has hard water consider offering filtered, softened or bottled water since heavy mineral imbalances could lead to kidney problems. Shelter. Shelter should be provided year round and should be insulated and weatherproof. It will provide safety from predators as well as a place to sleep. Many adopters also provide thermal bedding for the winter months. We prefer that our outdoor cats go in pairs or that another outdoor cat already reside at the location. Outdoor cats are happier when they have a feline companion and a happy cat makes a happy caretaker! If you’re unable to maintain more than one cat please let us know in advance! How to adopt an outdoor cat? Fill out an Barn/Outdoor Cat Adoption Questionnaire and email any additional questions you may have to barncats@pawsitivekarmarescue.com. You will be contacted by a PKR representative to let you know whether or not you have been approved as a barn cat adopter. We require a property visit prior placing the cats. At that time we will walk through your property to determine what food and shelter placement would work best for you and the cats. We require an acclimation period for the cats. The cats will stay in an enclosure for two weeks while they adjust to their new surroundings. The enclosure is generally kept where the cats’ shelter will be. Once the acclimation period has been completed the adopter will release the cats to roam freely around their new home. Please contact us to find out about our available outdoor cats! We look forward to helping you find the perfect match for your home and land. We currently support multiple feral cat colonies. We also pull feral cats for the euthanasia lists at shelters and find safe barn or business placements for them. Sponsoring a feral cat will help us continue to feed and provide routine medical care and shelter to all feral cats in our care or in partnered colonies. Go to the “Sponsor A Pet” section of our website to find out more! Click The Link and complete the form for your cat or dog. Shortly after you have filled out the appropriate questionnaire, a PKR representative will contact you from adopt@pawsitivekarmarescue.com via email. Please read the email carefully and answer any additional questions that may be asked. If the questionnaire is approved, we will require a meet and greet with the animal you wish to adopt, additional screening and a background check. We pride ourselves on sending home healthy and happy animals. All animals must be 100% healthy, to our knowledge, before they can go to their new forever home. Pawsitive Karma Rescue holds adoption events at various locations around Austin and Central Texas. The exact dates & times are subject to the number of available animals entering our system. For the next event, please check our events page or our Facebook group. We also have a Cattery location inside the Petsense Pet Store at 7900 N FM 620 #110, Austin, TX 78726. You can see some of the available cats we have here during normal business hours.